This is a film about the unthinkable. This is also a very intense film; although not at first. It is only after the stage has been set that you realize where this film might be heading; and then, even when you do, there is still a doubt as to what will actually transpire. An SS officer and his family move into a beautiful home somewhere in the countryside. The home is part of Commandant Ralf’s assignment as the commander of a German facility of some kind. That is al his son knows. There is a Jewish servant in striped pajamas who does all sorts of work about the house. His mistreatment at the hands of young Bruno’s father is the first clue that boy has that something is not quite “normal” about his new home. Bruno; played by Asa Butterfield; is an intelligent little 8 year old with a precocious 12 year old sister named Gretel; played by Amber Beattie. She is mostly concerned with acting older than her age and is a very insensitive person; not at all like Bruno. Their mother, Elsa; played by Vera Farmiga; is more like Bruno. She is a sensitive and kind woman who doesn’t understand her husband’s hatred and fanaticism. Bruno discovers a back wall to the house garden and this leads him to the edge of the wooded area surrounding his new home. What he sees when he emerges into a clearing puzzles him. It is a bleak looking collection of wooden barracks surrounded by barbed wire fencing. Inside are people who look haggard and worn out. Bruno spots a boy, about his own age, loitering by the fence. He is wearing striped pajamas, just as the servant in his home. His father has told him that these people are not human beings at all, and they are to be despised. Bruno approaches the fence and the boy, who is named Shmuel; played by Jack Scanlon; and the two become sort of friends. One day Bruno comes home to find Shmuel in his home cleaning the crystal glasses. His fingers are just the right size for the work; which is the only reason he has been selected. Bruno is happy to see him there and offers him some of the food from the table. When his father’s aide comes in and sees this he is enraged. Bruno is too frightened and confused to admit that he gave the food to Shmuel, and the boy is taken away. Days later Bruno meets him again at the fence and is shocked to see that Shmuel has been beaten. He apologizes for not owning up to his act of kindness, explaining that he was scared. Bruno forgives him and enlists his aid in finding his “missing” father in the camp. 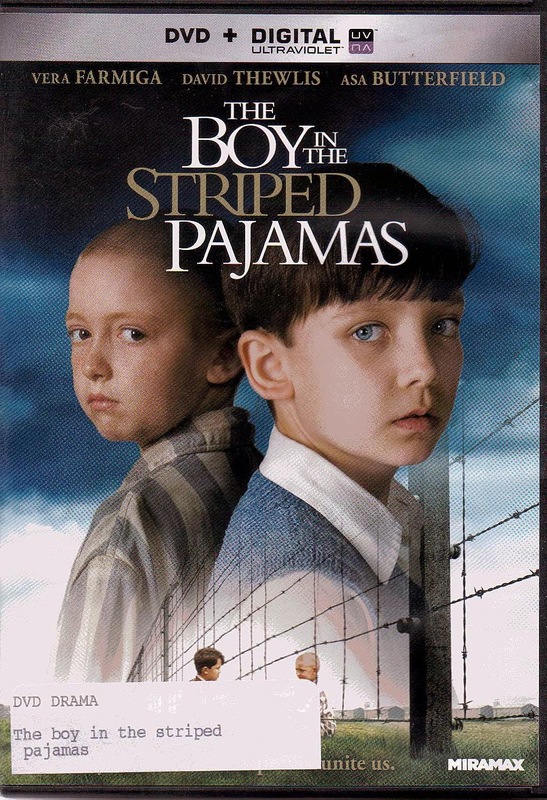 In a scene reminiscent of “The Prince and the Pauper” Bruno dons an extra set of pajamas provided by Shmuel and joins him inside the compound to look for the missing man. As luck would have it the two boys are caught up in a group headed to the “showers”. At the same time as these events are occurring Bruno’s mother notices that he is nowhere to be found. Summoning her husband and his soldiers they look for the boy, only to discover open gate in the backyard wall leading to the compound. As the search intensifies Bruno’s parents realize the possibility that he has entered the camp; prompting a furious search to discover him before the unthinkable happens. Sparse direction and incredibly underplayed acting make this film one which you will be thinking about long after the final credits have rolled.